Criminal justice system is an adversarial system. The government has the prosecutor, and you have the option to decide who will be on your side. Only one will come out of the courtroom victorious, and you need an effective, experienced and aggressive Sacramento criminal lawyer to help ensure the best possible outcome. With over 25 years experience Richard Chan is a former prosecutor & deputy district attorney, he knows how the other side thinks. If you have been arrested and charged with a crime, call (916) 446-4400 to speak with Sacramento criminal attorney Richard Chan for free consultation about your criminal or DUI defense case now. What can a criminal defense attorney in Sacramento do for me? This is a question many face when charged with a crime. Will an attorney help, or should I get a public defender? Public defenders are noble individuals who work incredibly long and stressful hours to help those in need of legal help. This is a very difficult job, and most practicing lawyers were public defenders at one point or another. Although many are green and fresh out of law school, they are still good lawyers. There is however, one overwhelming truth regarding public defenders – they are seriously overworked! Public defenders are never given the resources they need to handle their case load, and this could mean your case slips through the cracks and doesn’t get the attention it deserves. Sacramento defense attorney Richard Chan understands that this is your life we are talking about! The implications of your case will be felt for years to come by you and your loved ones, and we will fight to secure the best possible outcome. A criminal conviction can put your job, driver’s license, right to vote and your right to own a firearm at stake, and these are not liberties that should be taken lightly. Your case will always get the attention it deserves. Criminal attorney Richard Chan has handled over 20,000 cases and represent individuals who have been charged with criminal offenses in California, in both state and federal courts. If you have been arrested and charged with a crime, call (916) 446-4400 to speak with Sacramento criminal defense lawyer Richard Chan for a free consultation today! I was charged with a 3rd time DUI. The District Attorney’s Office wanted me to plead guilty and serve 180 days in jail. I retained the Law Offices of Richard Allaye Chan, Jr., A Professional Corporation. Mr. Chan felt my Constitutional Rights were violated. He filed a Motion for a hearing on whether or not my rights were violated. Before we even had the hearing the District Attorney’s Office dismissed the entire case. The results were more that I expected. 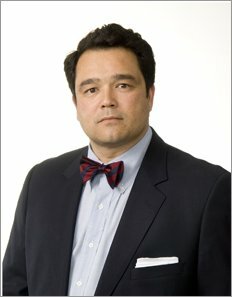 I would highly recommend Sacramento criminal defense lawyer Richard Allaye Chan. Richard Chan is a phenomenal criminal lawyer. He just represented a family member in a fraud case and was able to reduce the charges. His background as a prosecutor gives him invaluable insight. Richard Chan was concerned not only about the charges against this family member but the cause of the behavior. He tenaciously addressed the charges and the underlying behavior. His associate, Patricia Chapman, also provided tremendous support and effort in this matter. I am very thankful for the outcome in this case and highly recommend Richard Chan as a criminal lawyer.